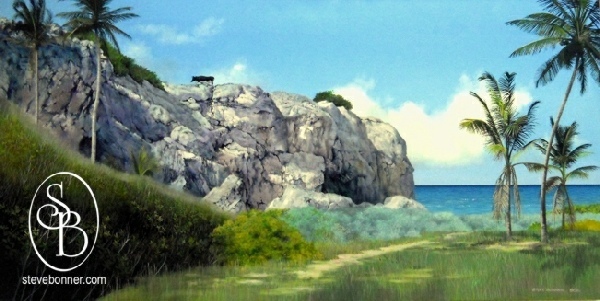 Available from The Gallery of Caribbean Art, Barbados. 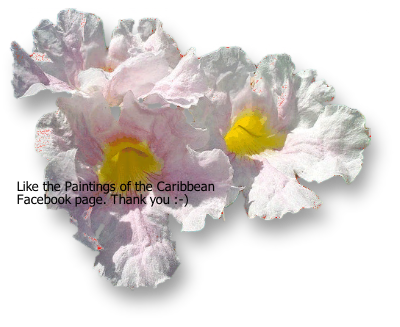 All the paintings featured on this page are available to purchase - either from the artist Steve Bonner, usually resident in the UK, or from The Gallery of Caribbean Art in Speightstown, Barbados, and all can be shipped worldwide. Original Watercolour Painting on board - unframed. Limited Edition Prints are available, on canvas and on paper, of many of Steve Bonner’s Caribbean Oil Paintings. Follow this link.